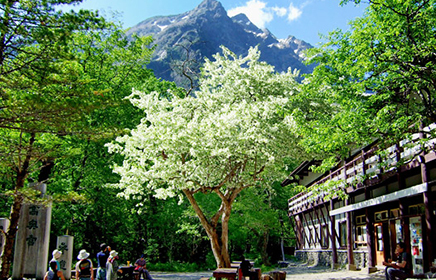 This page features all accommodations in Kamikochi. Click the “Book Now” button to send a reservation request to your desired accommodation. Some of the hotels, lodges, and campgrounds are quite far from the bus terminal, so please check the “Walking Distance from Bus Terminal” carefully before making a reservation. 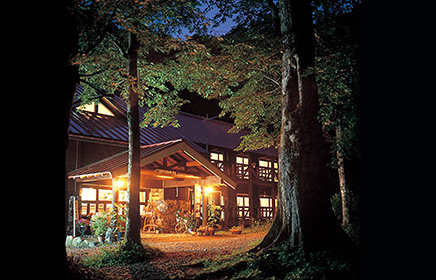 A lot of accommodations in Kamikochi give you a service with dinner and breakfast per night. There are few restaurants around Kamikochi serve dinner, so you need to bring some foods if you don’t have a dinner at your accommodation. Accommodations at Hotels and Lodges include dinner and breakfast. The price listed is per person and includes: Sales Tax and other Service Fees. * Camping sites are charged a service fee plus sales tax. ** In some cases, the price for dormitory lodging includes sales tax, please check the pricing carefully when you make a reservation. The exterior of this lodge fits harmoniously into the surrounding nature, while the wooden interior create a feeling of warmth. 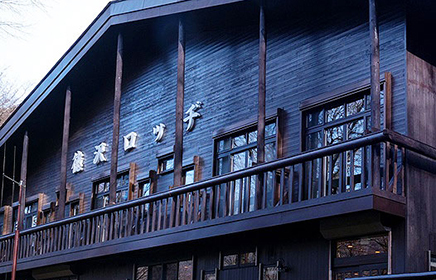 Located at Kappa-bashi Bridge, this inn exudes a welcoming aura. While relaxing in the Japanese-style rooms, one can enjoy the views over the Azusa River. Please enter "SHK2016" into the Requests/Questions section when you book. 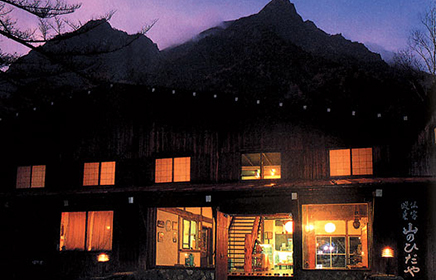 Known as “The Peaceful Lodge”, this lodge exists together with those who love mountains. For generations, the owners of the inn have been mountain climbers of the Alps and Himalayas. This love of mountains can be seen by the amount of wood used in the building. Even now, this building is as alive as the trees cut down to build it once were. 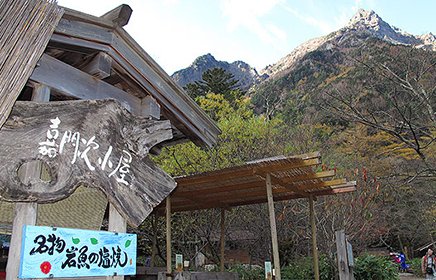 Located about an hour’s walk from Kappa Bridge, in a peaceful stretch of land,the Myojinkan is surrounded by such attractions as the Myojin Pond and the Hotaka Shrine’s Oku-Miya with its centuries-old religious mystique. Of particular appeal are quiet morning walks amid the glorious scenery of nature and soothing bird songs. 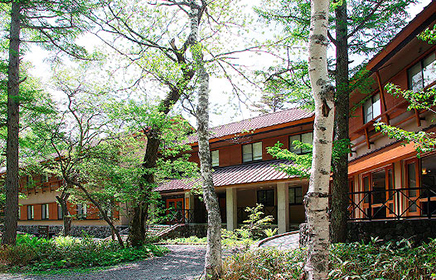 –These lodgings are well suited for backpackers making their way from the Kamikochi Bus Terminal with their luggage. (Natural, unpaved paths connect the two areas). –Because reservations need to be checked repeatedly prior to confirmation, reserving just before your intended period of stay is not possible. Please try to make your reservation at least two weeks in advance. –Visitors are requested to check in by 4pm on the fist day of their stay. A Lodge established in 1880. Rooms with a traditional Irori (fireplace) are available. This accommodation offers service in Japanese only and cannot receive online English reservation requests. To make a reservation, please check with their front desk on the day you would like to stay. 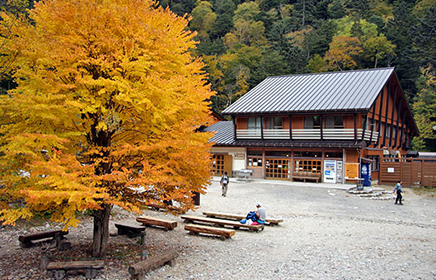 A quiet inn with natural hot sping stands by Myojin Pond. This accommodation only accepts reservations by phone. Sorry online reservations are not possible. Please visit their homepage and call the phone number listed to make a reservation. Tokusawaen was introduced in the famous mountaineering novel called “Hyoheki” which has been attracting alpinists. 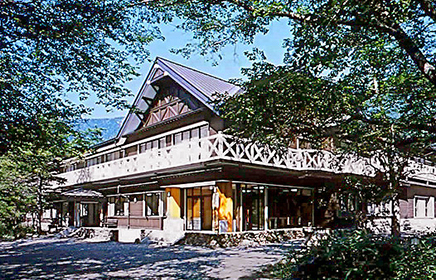 Many alpinists and mountain photographers have been fond of Tokusawa Lodge as a mountain climbing base since 1956. Please enjoy a wonderful mountain holiday in the clean and comfortable mountain lodge, refurbished in 2008.